Home > Blog > Culture > Events > Celebrating a Century, Portland’s Rose Festival Still Blooms! Celebrating a Century, Portland’s Rose Festival Still Blooms! With the Portland Rose Festival upon us, the City of Roses has filled its calendar with plenty to do this month. Whatever your age, interests, or budget, SK&H wants to make sure you’re aware of all of the incredible festivities taking place. Maybe you didn’t have a chance to take advantage of last weekend’s spectacular fireworks show. Don’t fret — that was only the very beginning of a very special celebration. 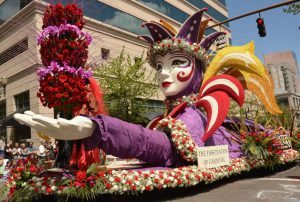 If Portland has been your home for years, you’ve most likely already experienced the Grand Floral Parade. If you haven’t, make sure you get out and join this city-wide party, which travels from the Memorial Coliseum, across the Willamette River and through downtown. You’ll be charmed by the all-floral floats, marching bands, vintage automobiles, cultural dance, and more. The event begins Saturday, June 11th at 10 a.m.
Don’t have the energy or time to weather an all-day parade? The Rose Festival offers a perfect substitute for those who seek a shorter, more mystical evening event. 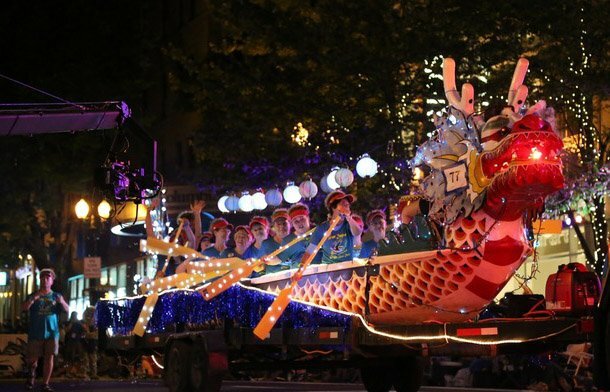 A long-time Portland tradition dating back to the early 1900s, the Starlight Parade lights up the streets of Downtown Portland. 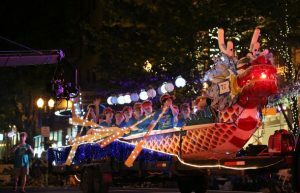 You can enjoy over 100 beautifully illuminated floats that drift along an approximately 2.25-mile route, bringing in more than 325,000 spectators. You can catch the Starlight Parade on June 4th, at 8:30 p.m.